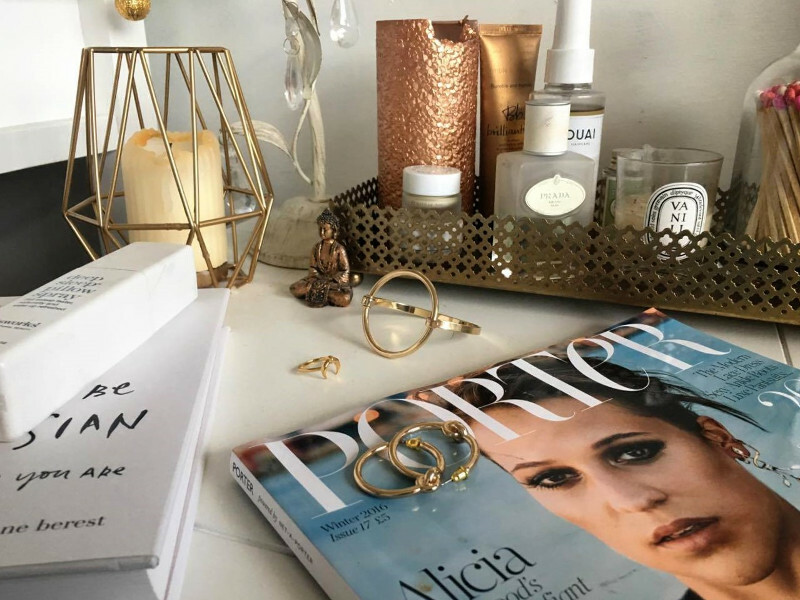 Whether your thing is jewellery, first-editions or souvenirs from travels. the dressing-table homes all those possessions you treasure and are pretty enough to be on display for all to see. 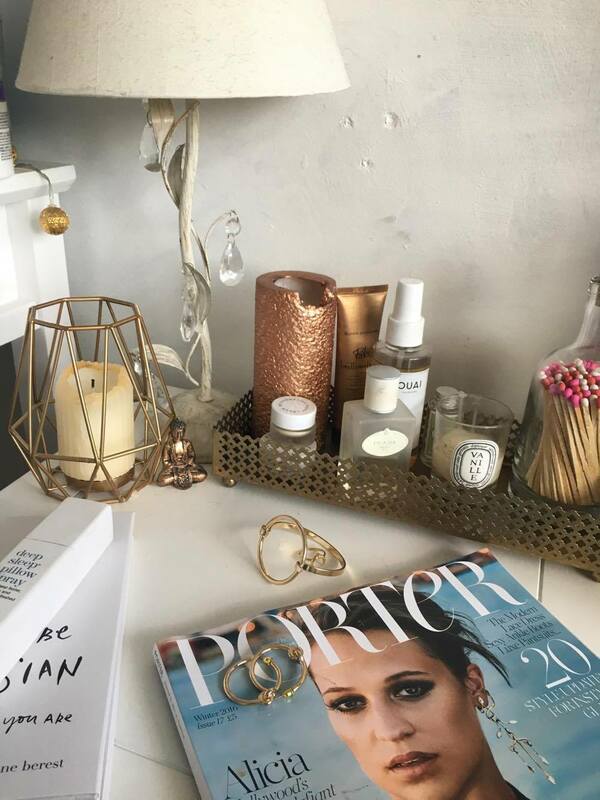 It's probably the only part of my bedroom that is permanently well-kept, even when the rest of the room looks like a jumble sale, and mine has recently taken a turn on the gold side along with being overwhelmed by pillar candles now Christmas is on the horizon (there's nothing better than a half-melted candle to make things look antique-y and lived in, especially if it smells amazing). 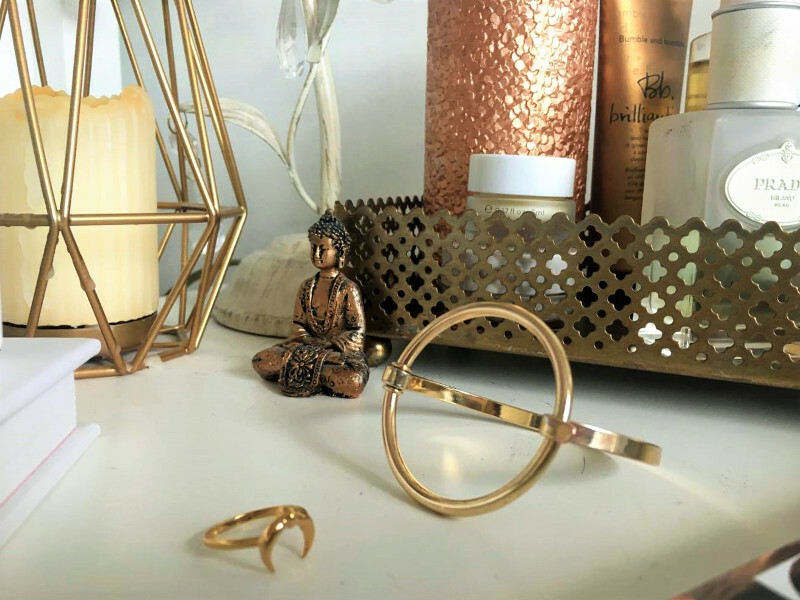 My favourite jewellery at the moment comes in gold, circular form and is a little more extrovert than I typically wear. 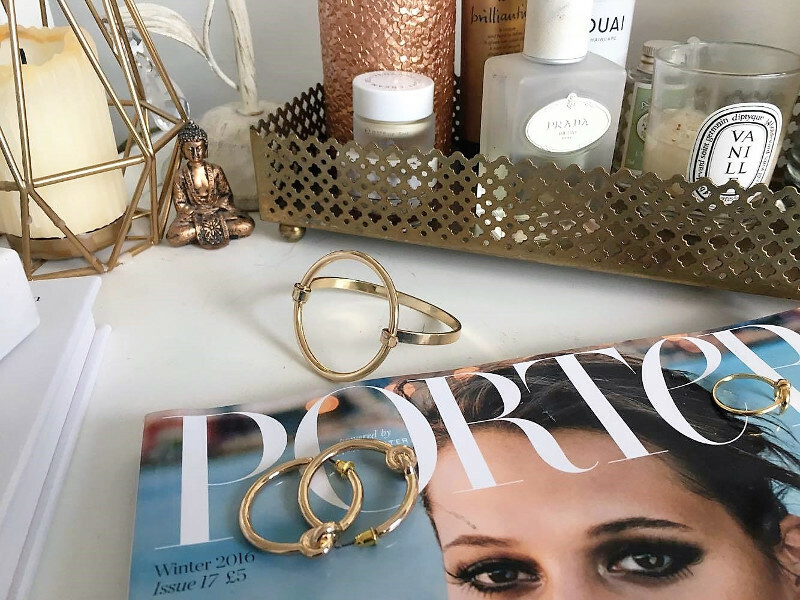 This bangle bracelet hasn't left my wrist since I bought it a few weeks ago; wearing it over jumper cuffs is such a simple way to make an outfit a touch more interesting. 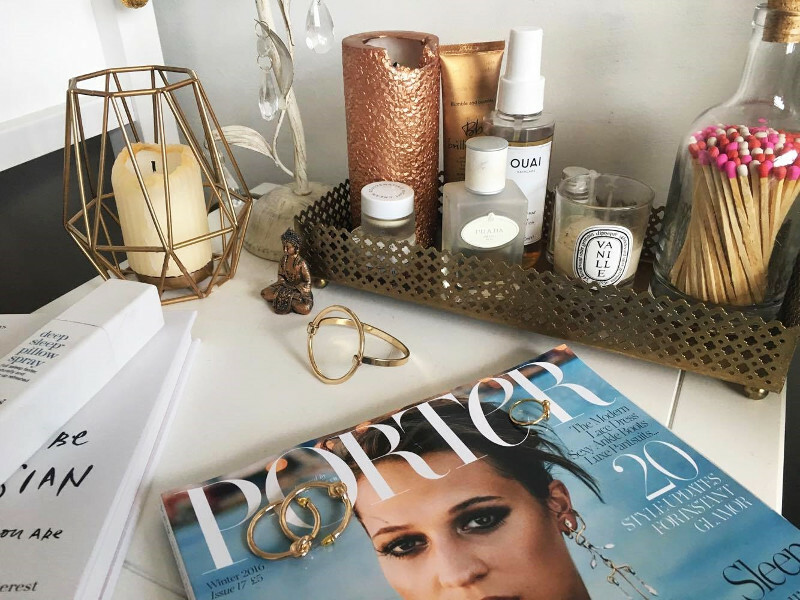 I picked up the knot hoop earrings in Primark last week; big enough to make a statement but suitable for day-wear through to evening.It didn't take long for me to become swayed by the latest Lucy Williams x Missoma releases this month. Four limited edition pieces inspired by some of the previous collections most coveted and fighting to resist for the sake of my bank balance pre-Christmas. I was gifted the graduated fang necklace as a birthday present in October, and recently invested in this horn ring. The draw of this collection's designs is undoubtedly it's ability to look good on just about anything, making even the plainest of tee's look stylish. I have never really been one for expensive jewellery until now and it feels like a slippery slope..
An increase in burning candles calls for matches (I've got through a whole box in about a month..), and these Graham and Green pink-topped matches are speaking my language. They're almost too nice to use.. 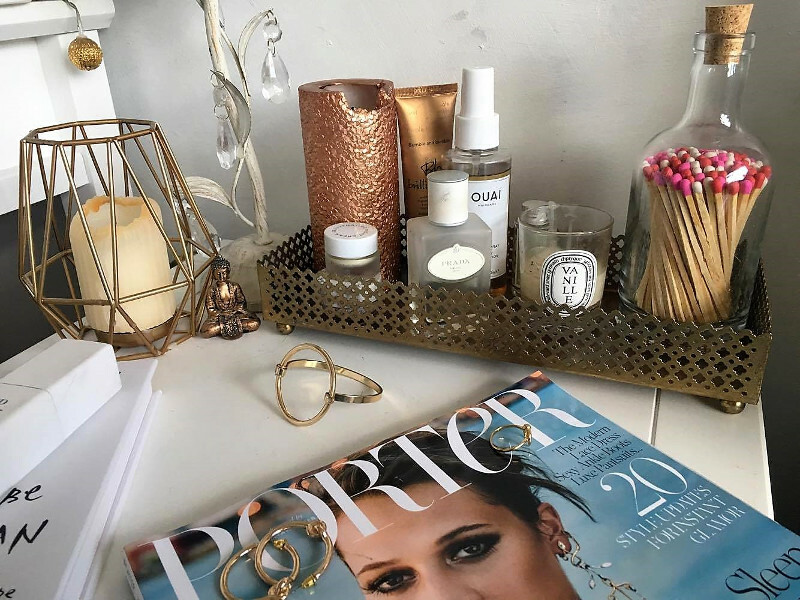 The products I reach for the most (typically hair-orientated) tend to end up on my dressing table, especially if they are as pretty as these ones are. The Ouai Wave Spray is something I've become obsessed with over the last few months, working wonders in creating beachy, separated waves in the midst of winter when humidity is not on my side. The Bumble and Bumble Brilliantine is similarly as effective, gives my hair an extra sheen and a bit of life to lustless locks.